Kent Ritchie is one of North America’s most admired winegrowers, yet his background would never suggest such a remarkable accomplishment. Kent moved from Detroit, Michigan to California while working for the 3M Company and decided to plant a vineyard. He learned viticulture on his own, and established the Ritchie Vineyard at 6150 Eastside Road in Forestville in 1972 using Old Wente, See and Rudd selections of Pinot Noir on AXR rootstock. 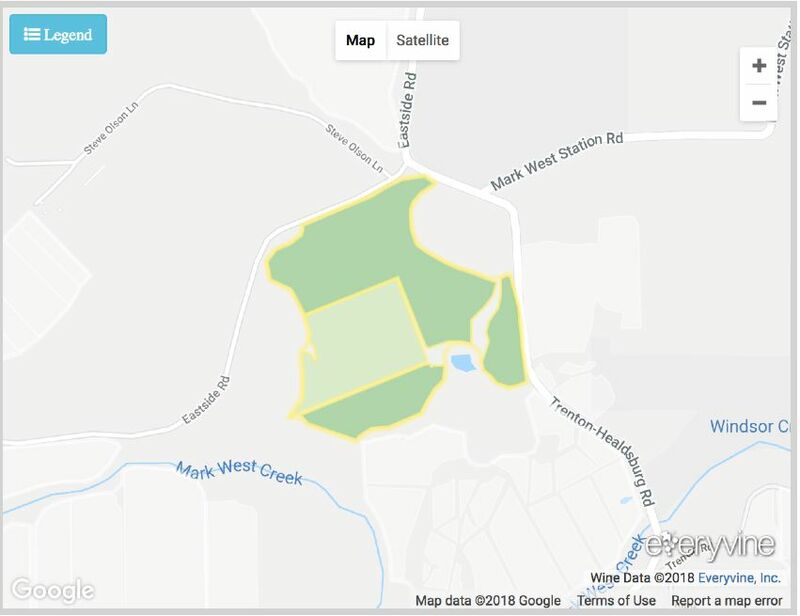 Kent chose a northwest-facing hillside in the heart of the Russian River Valley, located on a bench at the intersection of the Russian River, the Santa Rosa Plain and the Laguna de Santa Rosa, each of which influences the vineyard’s terroir. The site is exposed to the cooling effects of coastal fog that burns off in the late morning, and benefits from the well-drained sandy Goldridge soil speckled with gravel. The ideal climatic conditions for Chardonnay include 2796.15 growing degree days, and annual rainfall of 29.9 inches with 5.82 inches during the growing season. Additional plantings of Wente selection were added in 2004, and today Ritchie Vineyard consists of nearly 70 acres of Chardonnay. The vines are widely spaced at 968 vines per acre and are low yielding with an average of 2.5 tons per acre. 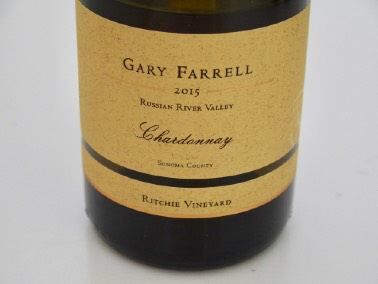 The feature that stands out with Chardonnay at Ritchie Vineyard is superb intensity of fruit flavors in combination with scintillating tension and vibrancy. Melissa Apter Castro, the winemaker for Metzker Family Estates who crafts a Ritchie Vineyard Chardonnay, told me the following about this treasured vineyard and its owner. “There is a reason Ritchie Vineyard is known as a legendary site for Russian River Valley Chardonnay. 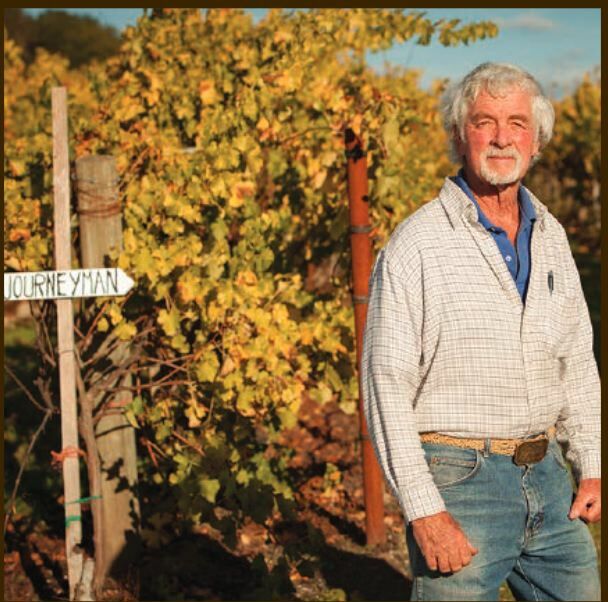 Not only is the quality of the grapes fantastic, but the passion and personal touch Kent Ritchie gives to each block is wildly apparent the second you turn off of Eastside Road onto the gravel road of Ritchie Vineyard. His hand-painted wooden signs dictate people to “Drive Slow,” and notify visitors who are contracted to each block. This personal touch makes you feel like you are truly part of something meaningful and not just a number stepping in line to buy a product and leave. I believe everyone who purchases fruit from Ritchie Vineyard feels like they are at a home away from home every time they visit. During vineyard walks with Kent, he is jovial, observant and humble. After over forty years of owning and managing this site, he still has a twinkle in his eyes when meeting with clients and waling the rows.” I met Kent at a Sonoma County charity auction a few years ago, and agree with Melissa’s description of his engaging personality. Many of California’s greatest Chardonnay producers have sourced grapes from Ritchie Vineyard: Ancient Oak Cellars, Arista, Aubert, Bevan Cellars, Bjornstad Cellars, Boich Family Cellars, Chateau Boswell, Croix, De Loach, Domaine Della, DuMOL, Flanagan Wines, Gary Farrell Vineyards & Winery, Hertelendy, Joseph Swan, Kobler Estate Winery, La Follette, MacRostie, Metzker Family Estates, Montagu, Patz & Hall, Paul Hobbs, Ramey, Red Car Wine Co, Ten Acre and Woodenhead. Here are some Ritchie Vineyard Chardonnays recently reviewed. NOTE: I think you will have a much better handle on the aromas and flavors of Chardonnay if the wines are tasted or drunk at about 63ºF, similar to the temperature that I prefer to taste or drink Pinot Noir.